Pain is exceptionally unique. It can take over your life physically and emotionally, practically paralyzing you and preventing you from living your life the way you saw yourself living it. Managing pain is half of the battle, but being able to get ahead of pain and dealing with the psychological aspect of it is the other. Getting your pain under control and getting ahead of it is the most important thing you can do for yourself and your well-being. Chronic pain may lead to feelings of hopelessness, struggling with the idea that your pain define you. Your chronic pain is not your entire life. You do not have to revolve around the pain, and there is hope. Here are some things that you can do to help conquer the physical and psychological effects of pain so that you can keep living your life the way you were meant to live it. The first step to conquering any illness whether it’s the common cold or debilitating fibromyalgia pain is to stay as healthy as possible. Eating the right foods, maybe some inflammation reducing foods, and frequent exercise is the basic way to stay healthy and in-shape. Your body’s immune system needs to stay strong so that you are not sick and in pain. Make sure you are giving your body the fuel it needs to heal itself. You can learn more about how pain affects your appetite in my two part series: When Pain Alters your Appetite and When Pain Threatens your Appetite. Knowing that you are not alone with your pain is comforting to all who suffer. Talking to other people that understand what you are going through is very therapeutic. Some may teach you that you have come a long way and other people may teach you how to keep moving on through the pain. Support groups help us move away from the habit of dramatizing our pain and give us an avenue to receive comfort and advice. Having a support system is key to any treatment, but especially for an imperceptible disease like chronic pain. Feeling alone is normal, but you can create a tribe like Chronic Babe Jenni Prokopy. To hear her story or join her support group you can listen in my two part series: The Advocacy of ChronicBabe, Part I and Part II. There are some therapy treatments that I discuss on my radio show including acupuncture, herbal remedies, hypnosis, and so much more. While these treatments may not work for everyone, they could be the solution that you never knew you needed. If you are not comfortable with trying treatments outside of your comfort zone or your doctor’s, you will be fine. I’m encouraging those who know that their current treatment is not working for them and they need to find something new. These are just a few suggestions that could get you started. 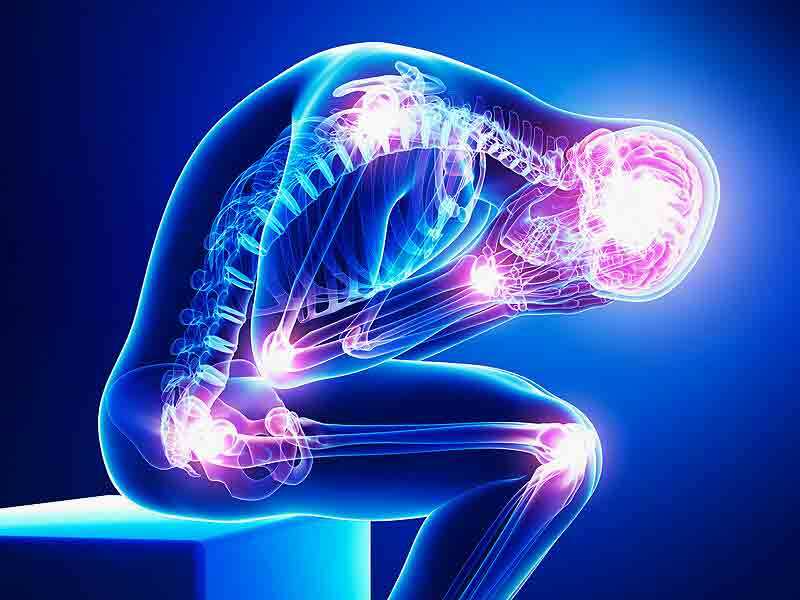 Chronic pain can be a life altering condition. Continue seeking out treatment methods and support systems. My radio show “Aches and Gains” offers insight from celebrities all over the world on how pain touches people on every level. We are on this journey together and are constantly learning from each other. I learn something new every day. Let’s strive for a pain-free life and future. Posted in Blog, CAM, Holistic, Self Management.